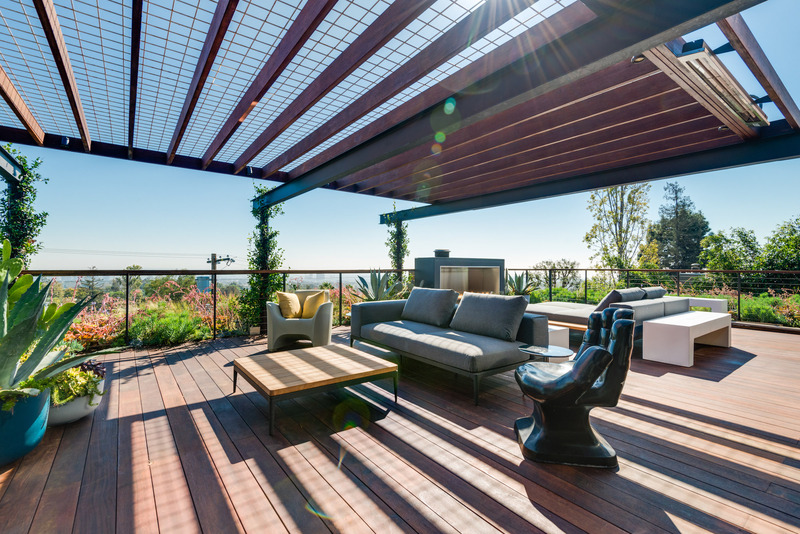 The name Harry Gesner is well-known in California architectural circles. The architect is known for creating distinctive homes that emphasize the delight and comfort of the residents. 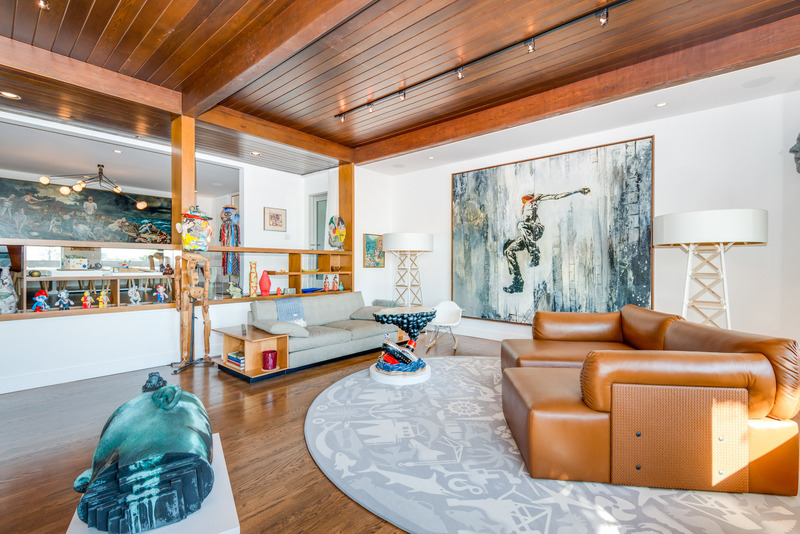 His famed boathouses are always snapped up when they hit the market. Today’s home has some of the qualities of those designs only on a grander scale. There’s a pleasing sense of the home being an almost nautical aerie with naturalistic elements. 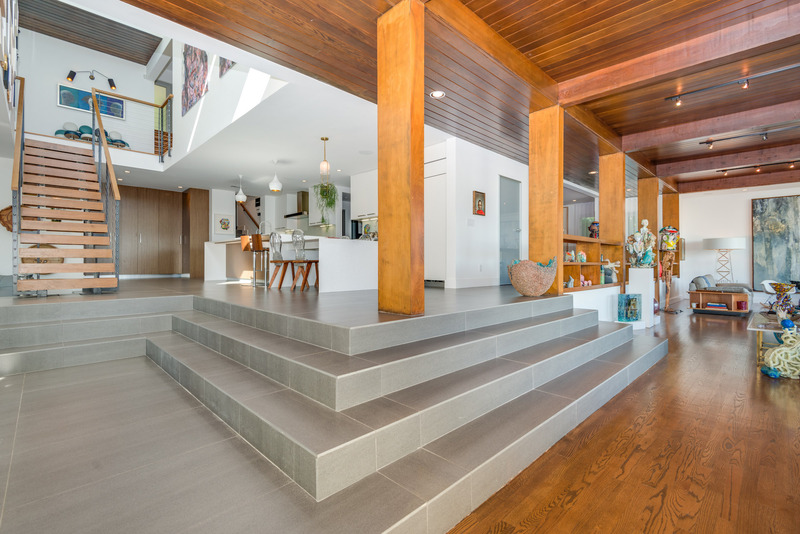 Originally built in 1958, the modern Post & Beam residence was remodeled by award-winning firm Griffin Enright. 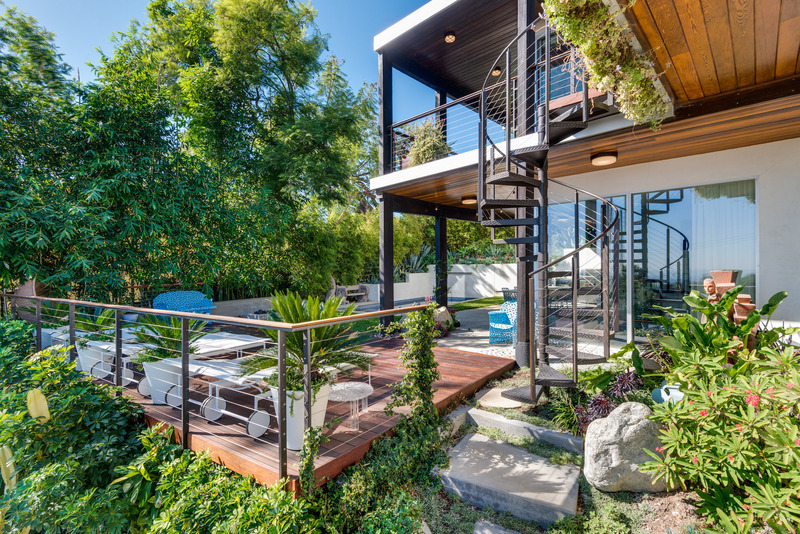 Located in the Brentwood area of Los Angeles, the home has panoramic city and ocean views. 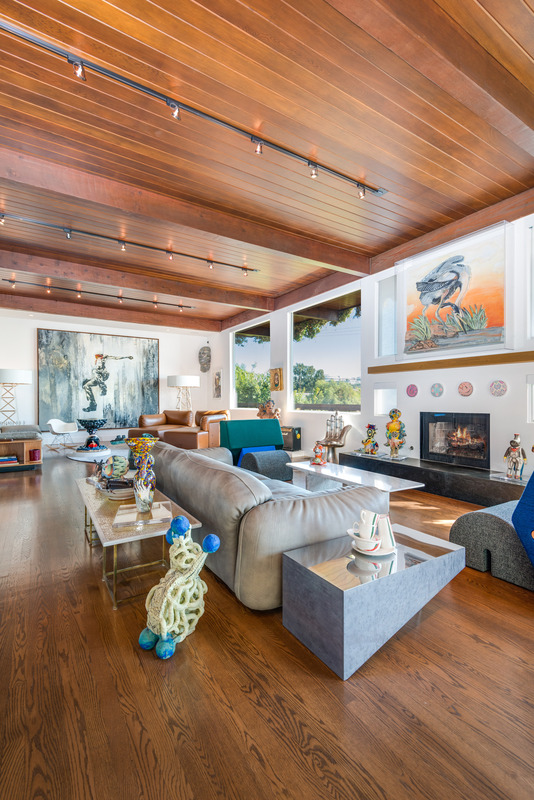 Redwood ceilings add a sense of rustic appeal and enhance the home’s jewel box qualities. 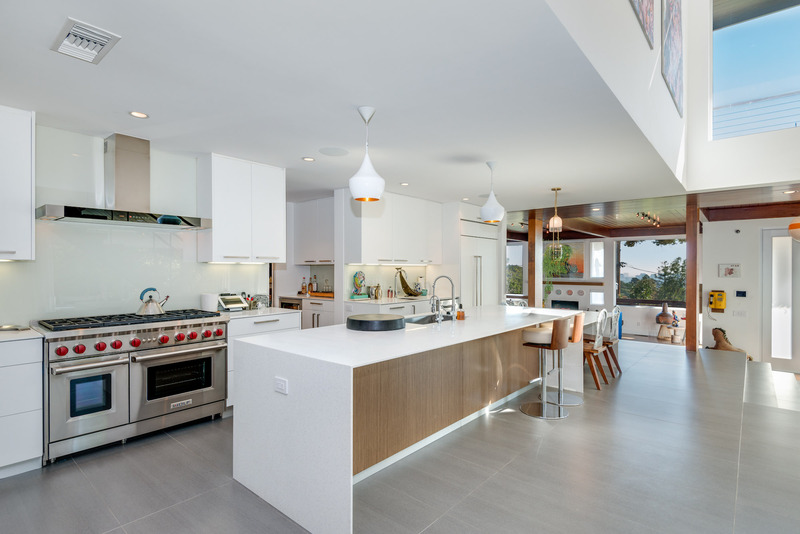 The ultramodern chef’s kitchen has Sub Zero and Wolf appliances and clean white Caesarstone counters. 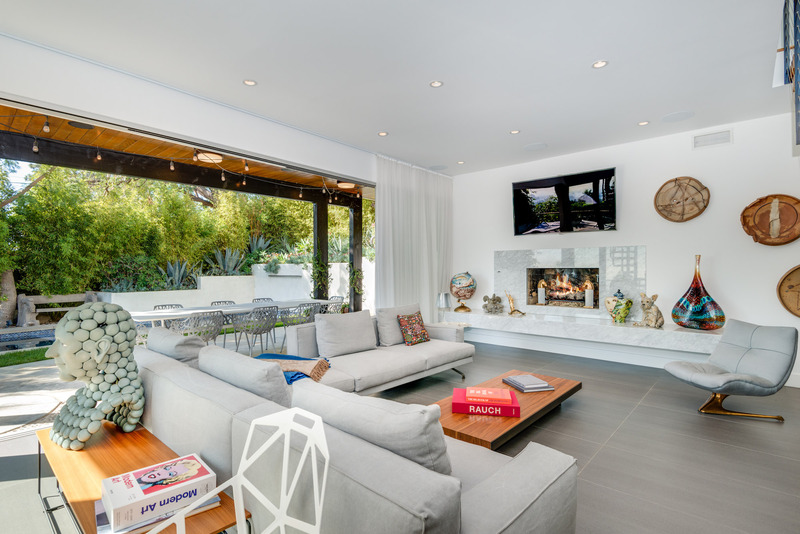 The updates include making the property a full Crestron smart home with an Arcadia switchlight front entry door, Western and Fleetwood doors. and motorized shades. The master bedroom includes a spa-like master bath and wardrobe retreat. 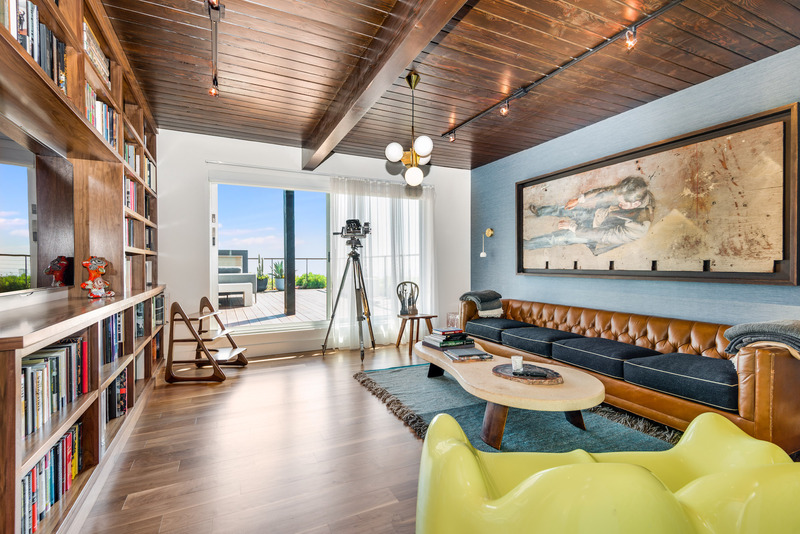 Other amenities include a wine room, movie theater and custom light fixtures by Lindsay Adelman, Tom Dixon, Luminaire, Artemis, Flos, and many others. The den opens out to the pool area and offers a unique retreat. The patio and pool area include ample room for enjoying the weather. 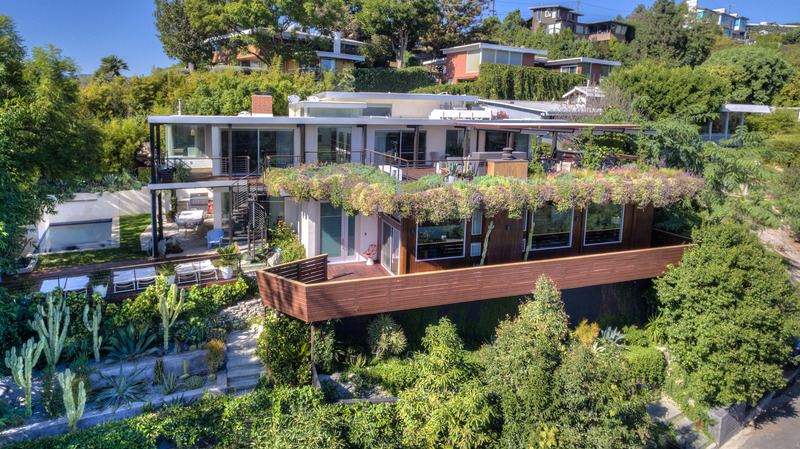 The home is currently listed for $6,249,000 with Scott Gorelick of Compass.